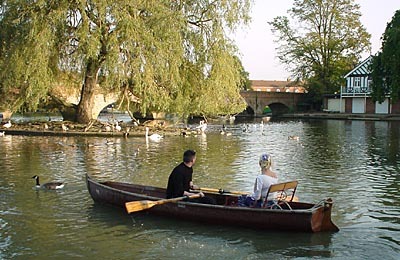 Stratford-upon-Avon makes an ideal setting for a romantic break, the town that gave us William Shakespeare and still to this day is steeped in his history. Shakespearian properties, the world renowned RSC theatres (three), restaurants for candle-lit dinners, romantic accommodation (some with four-posters), beautiful restful river walks along the banks of the peaceful Avon all combine to make a romantic break and is a unique experience of the Stratford world - in which the famous dramatist and poet was born, loved, lived and died. Sonnet: Shall I Compare Thee"